The Corporate environment has rapidly changed over the last few years and requires more demanding expertise to assure the Company meets the Company's Act 2006 principles. As a respected firm of Chartered Certified Accountants and Registered Auditors RoSA, we at JT's are proud of our Audit Services. We can take care of all your auditing requirements, including your annual audit and the preparation of your annual accounts, both of which we see as golden opportunities to enhance your external image and improve your profits. Help you meet statutory requirements. 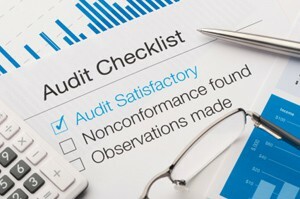 Conduct a review of your financial systems. Recommend ways in which to improve your business performance. Give you a degree of comfort. ATOL reporting accountancy services, (ATOL Reporting Accountants). All our services are conducted in accordance with our Association's guidance, we carefully plan and prepare the annual report to express an expert opinion that can have a considerable positive impact on third parties. If you would like more information or would like to ask us a question then call us on 0161 283 9639. JT Accountants take every care in making their recommendations and offering advice, any contract is bound between the selected accountant and the client. JT Accountants cannot be held liable for any failure on the part of either of the parties concerned. JT Accountants is a trading name of JT Accountants Limited Company No. 06554865. Registered in England and Wales. Registered Office Flat 1, Sir Matt Busby Way, Old Trafford, Manchester, M16 0QG.